Sundays always dissolve into an empty, thin space between that Friday vibe and the alarm bells of Monday morning. My Mondays are quite dark right now, because we have a routine 8:30am meeting and the mornings are still nighttime at 6am. Something has brightened up both my screen and Sunday evening - the video for "TV Troubles", by Boxcutter (a.k.a Barry Lynn) from his forthcoming Planet Mu album, titled 'The Dissolve'. The video and the tune itself capture a drowsy and evocative tone. I really love the acidity it's laced with. 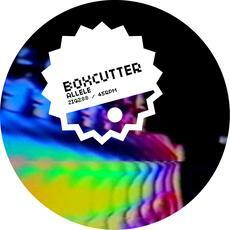 Boxcutter's album is being driven by a new 12" - 'Allele" and "Other People"
"Allele" is certainly on dubstep form. It jitters with jungle and grows with distant, accumulative sonics. "Other People" has a provocative 2-step vibe that plays with a deceiving summer sound through warming bass and equally drowsy harmonics. "The Dissolve" is released on Planet Mu, April 25th 2011.